After a dramatic deadline day attempt to sign Manchester United’s David De Gea last season, Madrid are staying away from the keeper this summer, according to Marca. The report states that Los Blancos are happy with Keylor Navas being the number one ‘keeper after a strong season between the sticks at the Bernabeu. This is great news for the United faithful, as they are desperate to keep hold of their three-time player-of-the-year. In other news, it was reported on Wednesday that Juventus midfielder Paul Pogba is José Mourinho’s number one midfield priority this summer, and that Manchester United were in pole position to sign him after Manchester City’s Pep Guardiola dropped interest in the player. However, Thursday’s reports from ESPN state that United have in fact made contact with the 23-year-old, yet he is waiting to see if Real Madrid make a move for him. Sky Sports also reported that United do not have a buy-back option or a sell-on clause for the French midfielder, after he left Old Trafford on a free transfer in 2012. 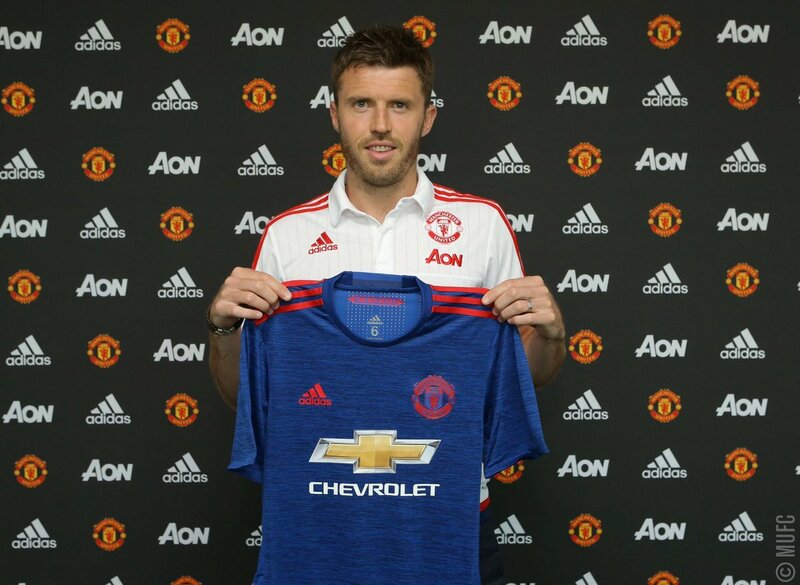 A player that will not leave Old Trafford on a free transfer this summer, however, is Michael Carrick, after the 34-year-old put pen to paper for a contract extension on Thursday, keeping him at the club until 2017. Carrick signed for the Reds in 2006 from Spurs, and has since gone on to make 291 appearances for the club. “Michael is a very intelligent midfielder and a great reader of the game,” said Mourinho after the contract extension was announced. The transfer gossip of the day stems from real estate company Proto Group Ltd, as they claim to have found Swedish striker Zlatan Ibrahimovic a mansion in Manchester amidst rumours of him moving to Old Trafford. “We can confirm that we have found a new home for the footballer in Manchester, following the indications given by the club,” a statement from the company read. “We struggled a bit at the beginning because Manchester is not Paris, nor Milan. Zlatan couldn’t understand that the architectural style can’t be the same, but in the end he was ‘forced to agree’ a move to an amazing villa with inner swimming pool and a very big garden. Proto Group Ltd has worked with former United midfielder Paul Pogba in the past, according to the Metro.